I have many fond memories of summer from my childhood, but one in particular comes to mind right now. I grew up in the same neighborhood as two of my classmates and friends, so we spent a lot of time together during the summers. We created secret clubs, had meetings in my tree house and of course we set up lemonade and Kool-aid stands on hot days. Sometimes, we even equipped my wagon with lemonade and cups and tried our luck at a mobile stand. What entrepreneurs we were. Just kidding. 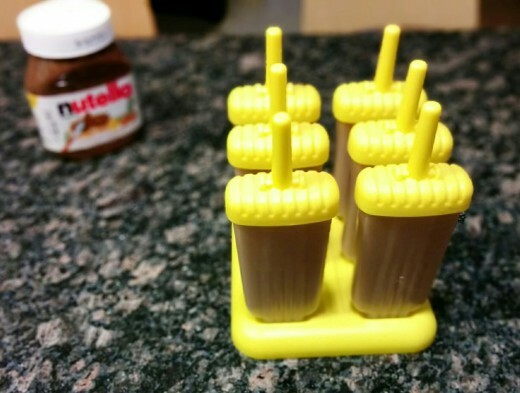 Anyways, sometimes we’d get creative with Kool-Aid and make homemade popsicles using my mom’s popsicle molds. They were never as good as I hoped they would be, but I still enjoyed making them! My husband and I got into a frozen fruit bar kick last summer, so I decided to buy a set of popsicle molds and try making my own; don’t worry I wasn’t planning on recreating the Kool-Aid ones. I actually intended on making frozen fruit and yogurt bars, but I just realized I still haven’t tried any yet. 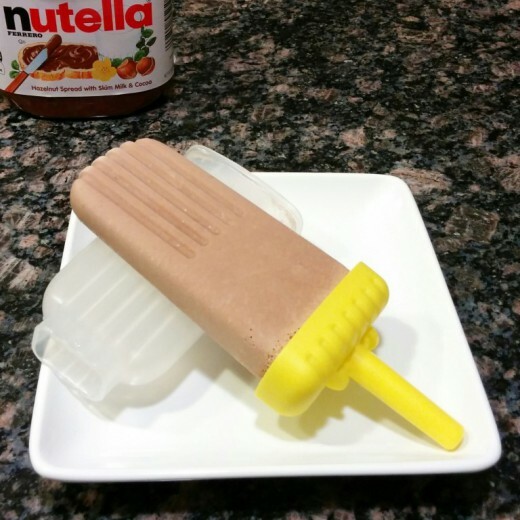 I did, however, stumble across a fudge popsicle recipe with Nutella that I tried right away and loved. I’ve modified it slightly and have made these several times now. They are super quick to prepare and are ready to eat the next day. I hope you enjoy them as much as I do! Begin by making a double batch (2 cups) of homemade whipped cream. 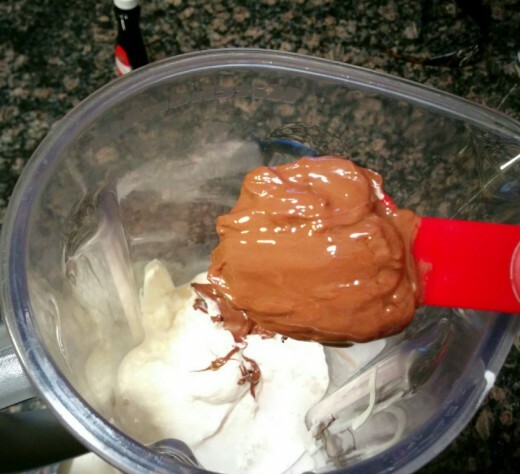 You can use Cool Whip, but homemade whipped cream is so much better! 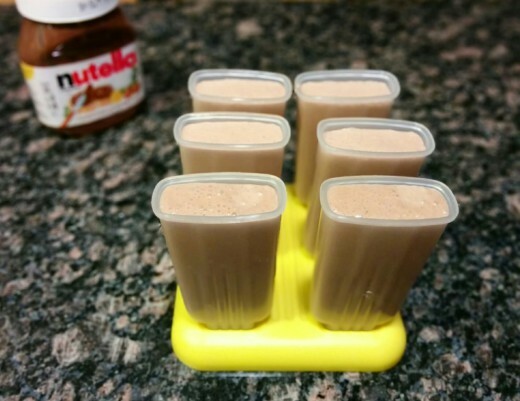 In a blender, add the whipped cream, 1 cup milk, and 4 tablespoons Nutella. I tend to go a little heavy on the Nutella. It’s just so good! Blend for 1 to 2 minutes, until thoroughly mixed. 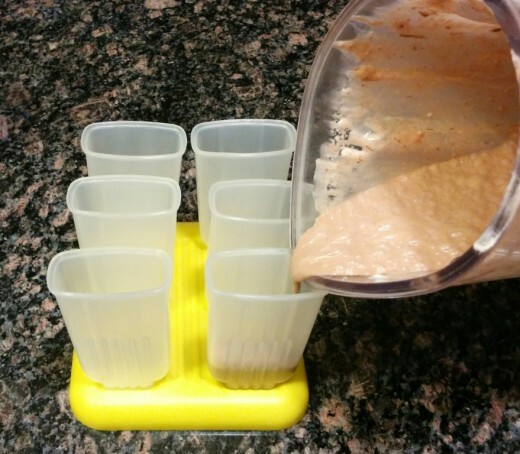 Carefully divide the mixture between popsicle molds. Add the lids to the molds and secure. Place in the freezer and freeze overnight or for at least 12 hours before enjoying. When serving, I find that running the plastic mold under hot water for about 15 seconds helps release the creamsicle from the mold. 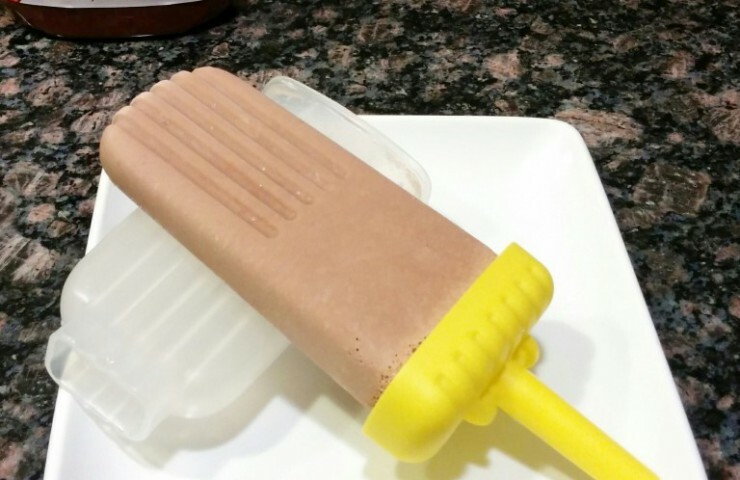 Have you ever tried making your own creamsicles or popsicles? Share a favorite recipe below; I’d love to hear about a great fruit and yogurt bar recipe! 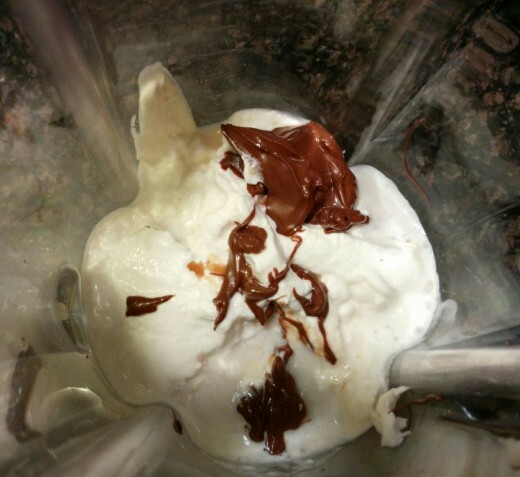 Prepare whipped cream, then combine with combine with milk and Nutella in a blender. 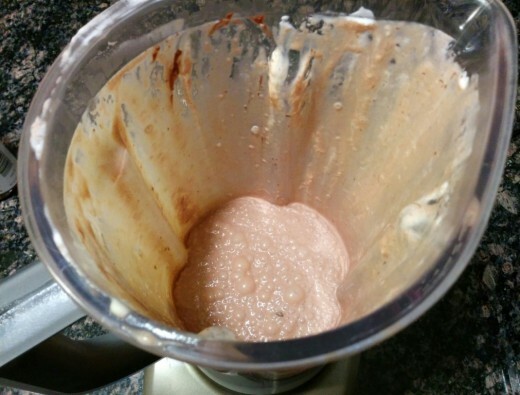 Blend until thoroughly mixed, about 1-2 minutes. 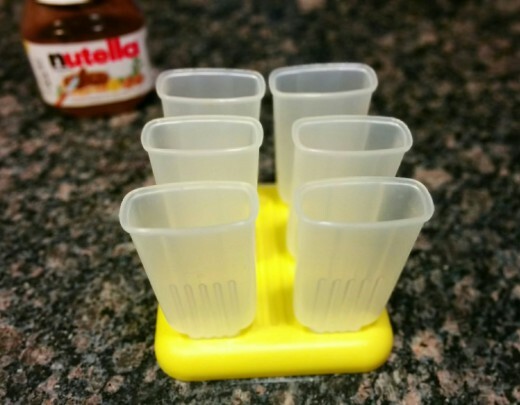 Carefully divide mixture between 6 popsicle molds. Running hot water over the plastic mold for about 15 seconds helps release the creamsicle from the mold.